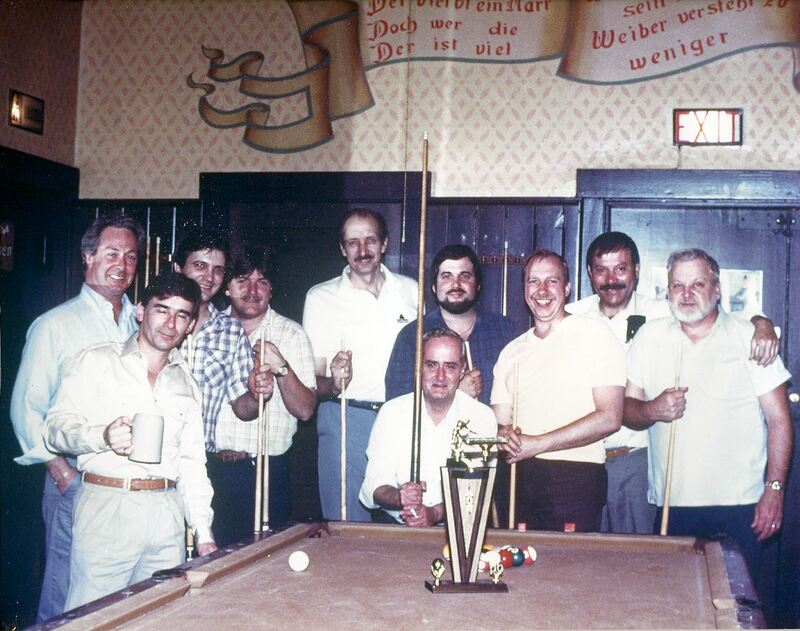 The Pool League has just completed its tournament and the Champion is Tom Tremel! But Tuesday the April 19th was also a special night as it was the 79th Birthhday of the founder of the club – Fred Kunz, and the 34th anniversary of the founding. It was also the unveiling of Fred Kunz Cup …or “THE FREDDIE”. The idea of Marlon Sessler and Tom Armstrong, this impressive cup has a strong resemblance to Lord Stanley’s cup. All of the past winners names are already engraved on it with room for 28 more. This friendly and loyal Teutonia group will be around for a long time thanks to Fred! 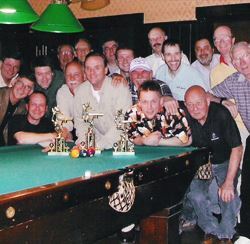 The Pool League meets every Tuesday night and competes on a 150 year old Brunswick regulation pool table. They play regulation 8 Ball in a rotating doubles format. Competition is tough, but friendly. If you are interested, please stop down on a Tuesday evening and meet the shooters!